Point of Sale (P.O.S) printing for any type of retail promotion is one of the most cost-effective ways to drive traffic and raise brand awareness. 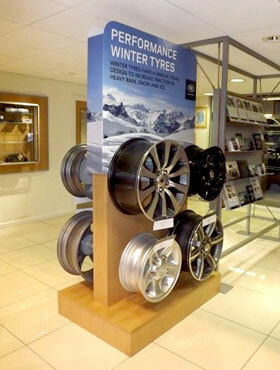 Dominion has a wealth of experience in delivering eye catching P.O.S & Point of Purchase (P.O.P) displays. Dominion regularly undertakes projects that include high-profile restaurants, shops, bars, banks, car showrooms and many other retail environments. 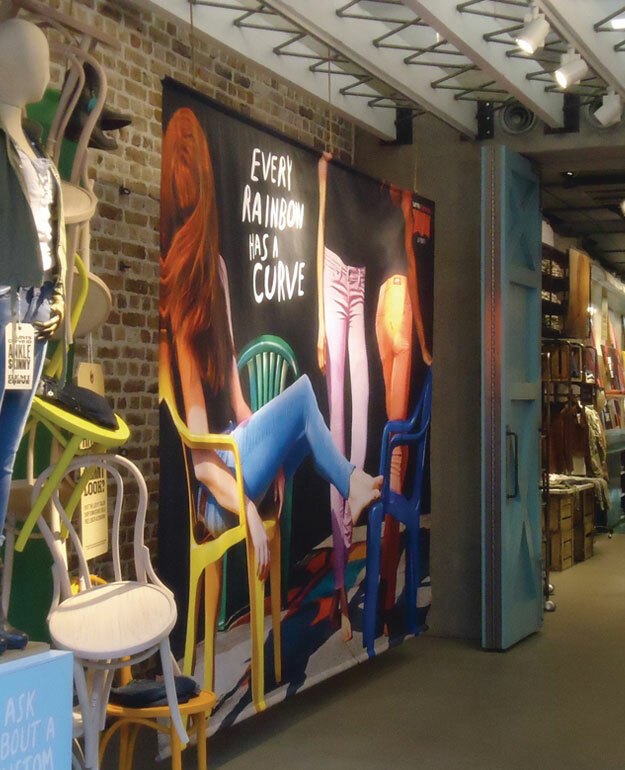 Through our work in producing retail P.O.S graphics, Dominion is ideally placed to provide large-format printing solutions to anywhere in the UK and we can advise on the best materials and print techniques for the job, as well as having the capabilities to deal with seasonal demand. We provide hanging displays and signs, header boards, free standing display units (FSDU), dump bins, display stands, standees, wobblers and pop-up displays. We provide bespoke solutions for retail environments and can create point of sale solutions to help you build your brand or product. Dominion has a wide selection of self-adhesive materials (such as electrostatic, contravision and self-adhesive vinyl), and our experts are always on hand to offer advice and guidance on the best options to suit your needs. Our ranges of digitally printed window graphics can be positioned on the inside or outside of any window with the possibility of just about any size and shape. 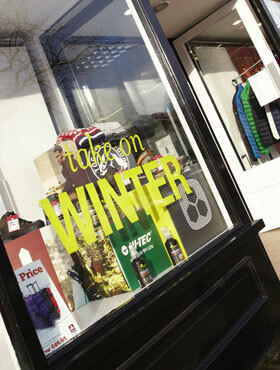 Our window graphics are easy to use and easy to re-position. The easy peel vinyl does not leave residue on the window and allows you a margin of error if you’re applying the graphics yourself. If you want to make an impact either indoors or out, look no further than the durable banners produced by Dominion. 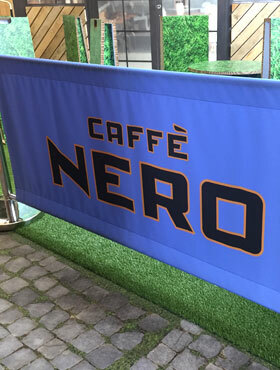 These include large printed banners, roller banners and event banners, which can be made from a range of materials including PVC, mesh and 100% recyclable PE. Banners remain an excellent, cost-effective advertising option; creating impact and 24 hour exposure to your market place. No matter what size or quantity, our production facilities enable us to provide anything from one off prints to full national promotional roll-outs for all indoor and outdoor applications. 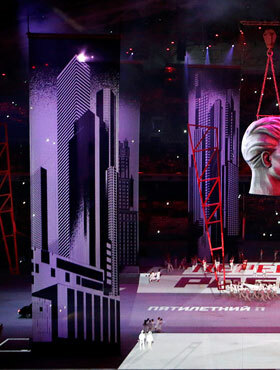 We are one of very few organisations that produce truly super large banners. From automated reprographics to printing and specialist finishing equipment, we believe in leading the field in super large banner manufacture, including advice on the correct materials for the situation and positioning, as well as surveying, fitting and installation services. 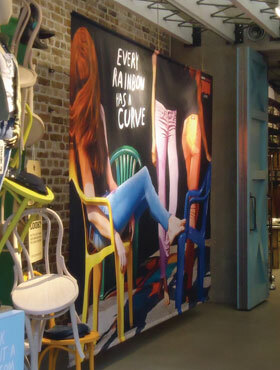 We can produce mesh, vinyl or fabric canvas banners in full colour, printed one or two sides with loops top and bottom. The material we use is tough, washable and weatherproof, and we can supply all types of posts and cross rails to achieve the stability, look and feel you require in any location. Local authorities throughout the UK have different licensing and regulation guidelines for pavement cafes, and we can advise on the best option for the chosen location.